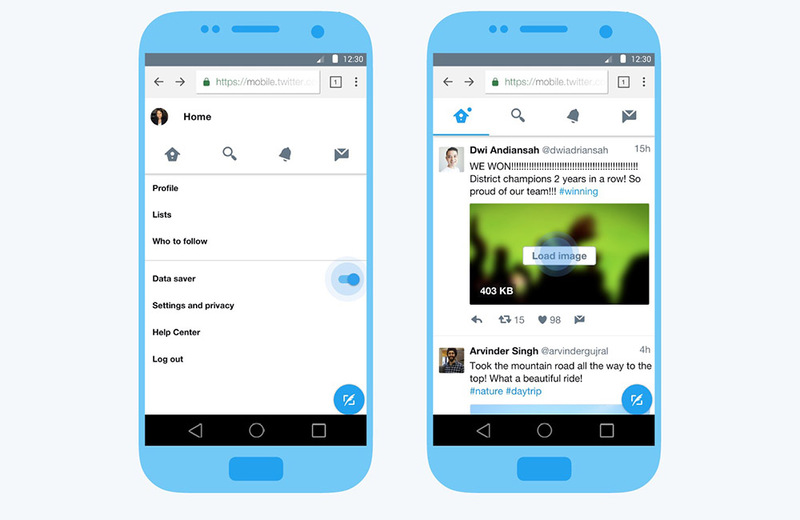 Because there is a good chance that you may not have the best data connection every single day for the rest of your lives, Twitter is rolling out Twitter Lite to the mobile web. This Lite version was built to take up less space and load items more quickly, only without cutting the features you need. Twitter Lite can be accessed via the web (it’s more of a web app than anything) at mobile.twitter.com. Once there, you’ll still be able to access DMs, your timeline, trending items, your profile, media, and even get notifications. Oh, you could also save Twitter Lite to your home screen as a shortcut if you want (Menu>Add to Home Screen, in Chrome). If you need even more Lite-ness, feel free to toggle on the data saver mode found in the menu (see image above). This mode will show you previews of images before letting you decide which to fully load. Twitter says this can reduce data usage by up to 70%, which seems like a lot. For more on Twitter Lite, hit up this link. For more on the dirty background details of how it was built, hit up this link.